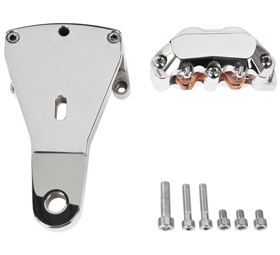 Our rear calipers for pulley-brake combo are for custom Harley Davidson motorcycles (HD), custom choppers, bobbers and most custom motorcycles with Harley type Softail or rigid frames. 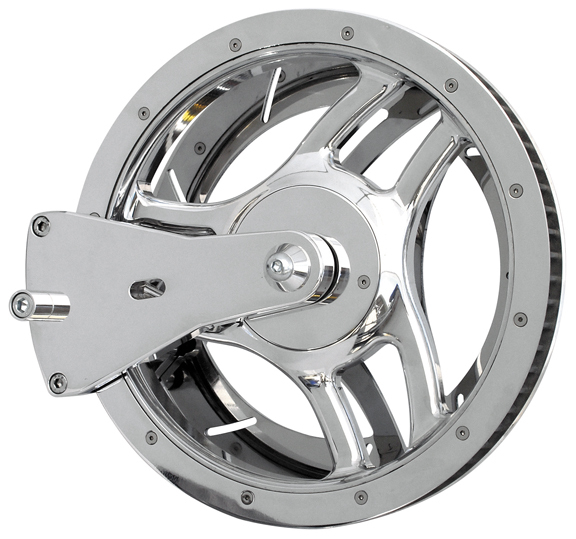 These pulley brakes are precision machined from billet aluminum for strength and durability. Our rear caliper for pulley-brake combination is to be mounted with our Lowrider Motorcycle Pulley or Open Mind Motorcycle Pulley (sold separately) and with our Lowrider Motorcycle Rotors or Open Mind Motorcycle Rotors (sold separately). 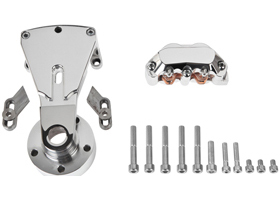 Pulley-brake kit includes caliper, caliper bracket and adjustment. 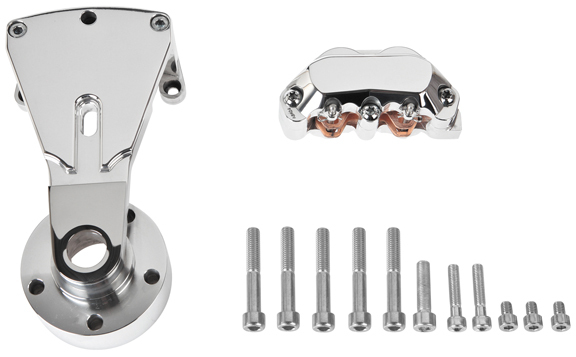 This kit will allow you to mount everything on the left side of the rear wheel, to leave the other side completely clean and uncluttered: this is a must for a true chopper! Do you have the conversion kits for these, and what are the pitfalls of doing if any of this conversion.? 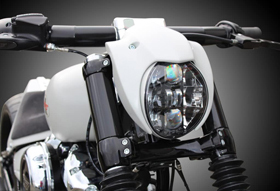 Thank you for your interest in Eurocomponents’ custom motorcycle parts. 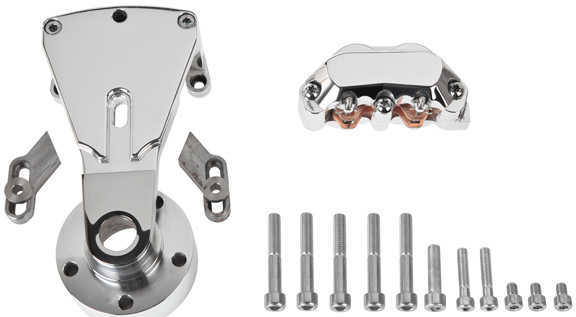 Do you make this rear brake – Pulley combo for a 2002 Harley Wide glide? Thank you for your interest in Eurocomponents’ Pulley-Brake Combo. 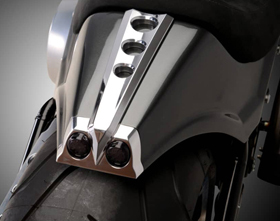 Yes, we offer our Rear Caliper for Pulley-Brake Combination also to fit Harley Dyna’s, with either 1″ or 25mm wheel axles.